buildOn students and supporters came together on Thursday, May 17th, at the Four Seasons Hotel in San Francisco to celebrate the impact of buildOn’s work over the past year. 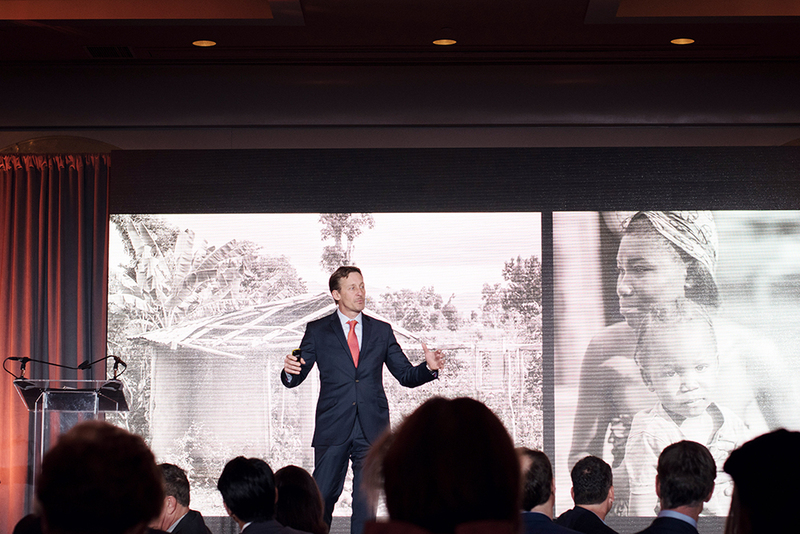 The celebration raised $400,000 to support buildOn’s mission to break the cycle of poverty, illiteracy, and low expectations. 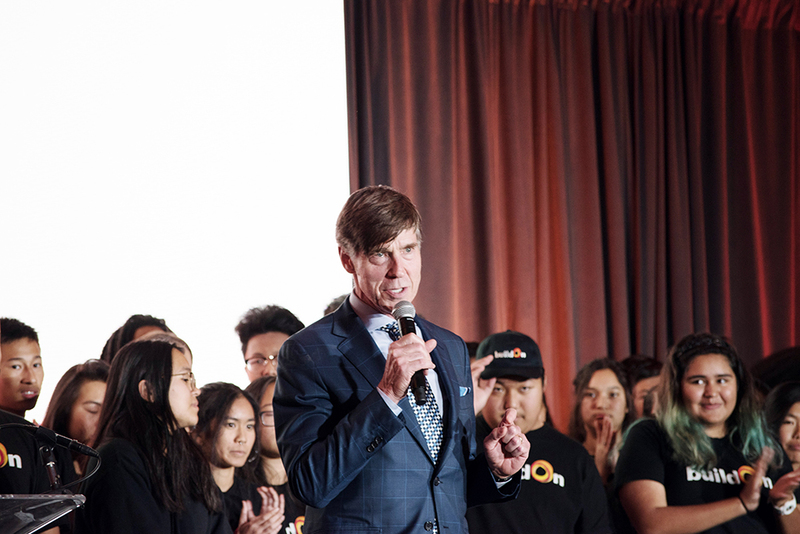 Above: Rodan + Fields Chairman Amnon Rodan speaks about his company’s meaningful partnership with buildOn at the 2018 Bay Area Dinner. 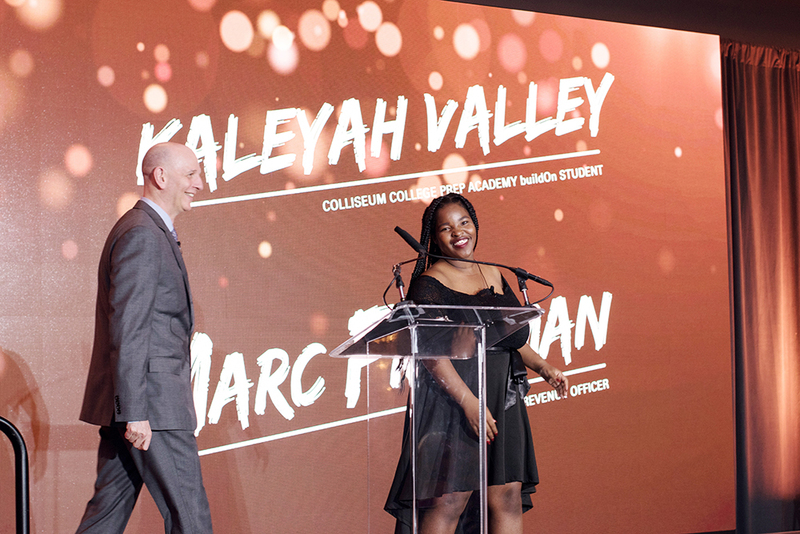 Kaleyah Valley, a buildOn student at Coliseum College Prep Academy in Oakland, and buildOn’s Chief Revenue Officer Marc Friedman served as emcees for the evening, kicking things off by recognizing the members of buildOn’s National Board, the Bay Area Board, and the corporate sponsors who make buildOn’s work in the Bay Area possible. Kaleyah then welcomed a fellow buildOn student from Oakland, Elsy Huidor, to the stage to share her inspiring buildOn story. Above: buildOn’s Cheif Revenue Officer Marc Friedman and buildOn student Kaleyah Valley take the stage as emcees. 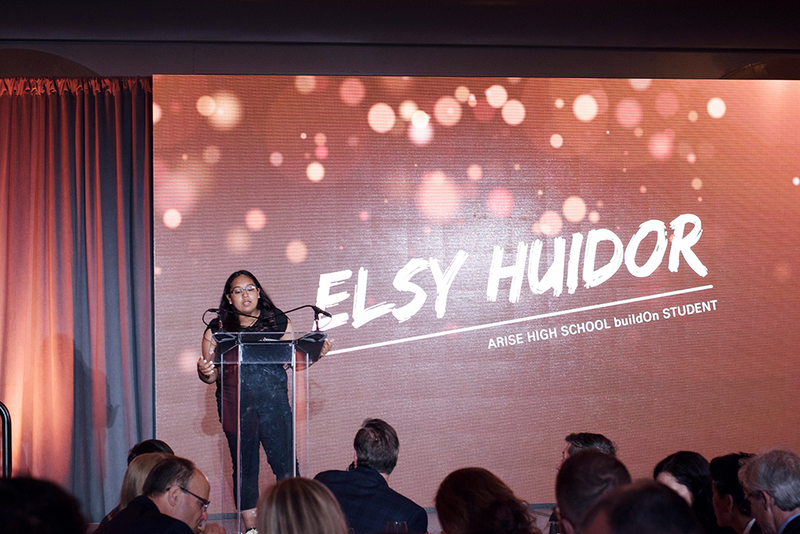 Above: buildOn student Elsy Huidor speaks at 2018 Bay Area Dinner. Elsy has dedicated herself to raising expectations and serving her Oakland community. After a rousing ovation, Elsy called buildOn’s Founder, President, & CEO Jim Ziolkowski to the stage. Jim spoke about how buildOn students like Elsy are changing their own communities in Oakland and other major U.S. cities, and how on Trek, buildOn student work alongside local communities in some of the economically poorest countries in the world to build schools. Above: buildOn’s Founder, President, & CEO Jim Ziolkowski shares how buildOn students are breaking the cycle of illiteracy around the world by building schools on Trek. Jim’s speech was followed by a generous appeal and dinner. Afterwards, Kaleyah and Marc honored two buildOn students from Oakland who have each dedicated themselves to more than 1,000 hours of service, Bryant and Chris La, brothers from Oakland High School. Bryant and Chris were each given an award for their incredible achievements. 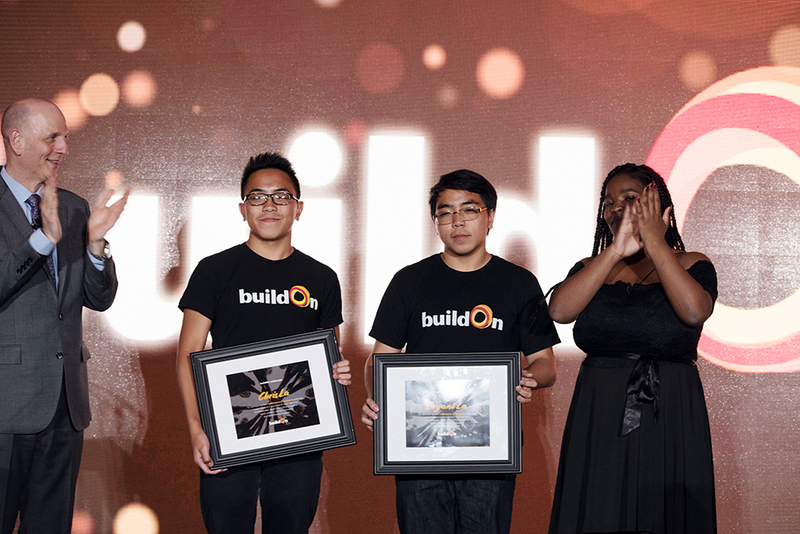 Above: Chris La (left center) and Bryant La (right center) are honored at the 2018 buildOn Bay Area Dinner for each serving more than 1,000 hours with buildOn. 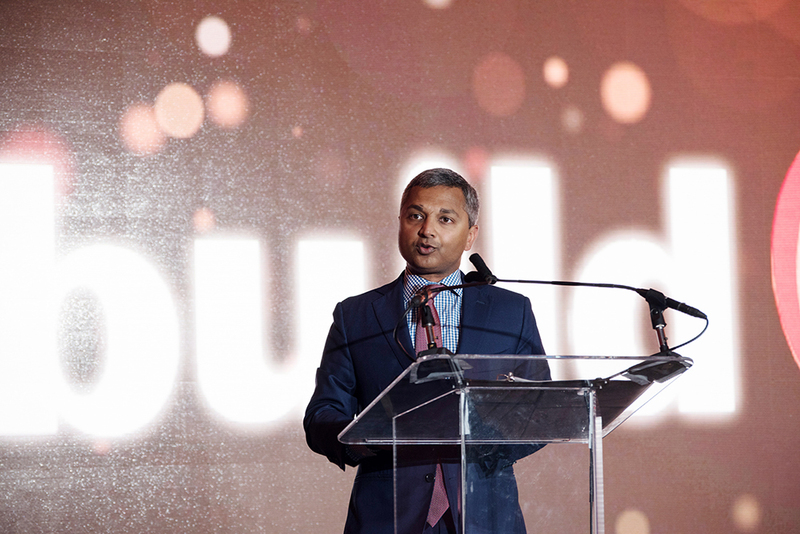 buildOn’s Partnership Director Anthony Curtis took the stage next to share how buildOn’s Immersion Programs are making it possible for corporate partners to get directly involved in buildOn’s service learning programs. Anthony then introduced Anand Swaminathan, Senior Partner at McKinsey & Co., who spoke about his powerful experiences in buildOn’s Partnership Program. Above: Anand Swaminathan shares what it meant to be a part of buildOn’s Partnership Program in Oakland. 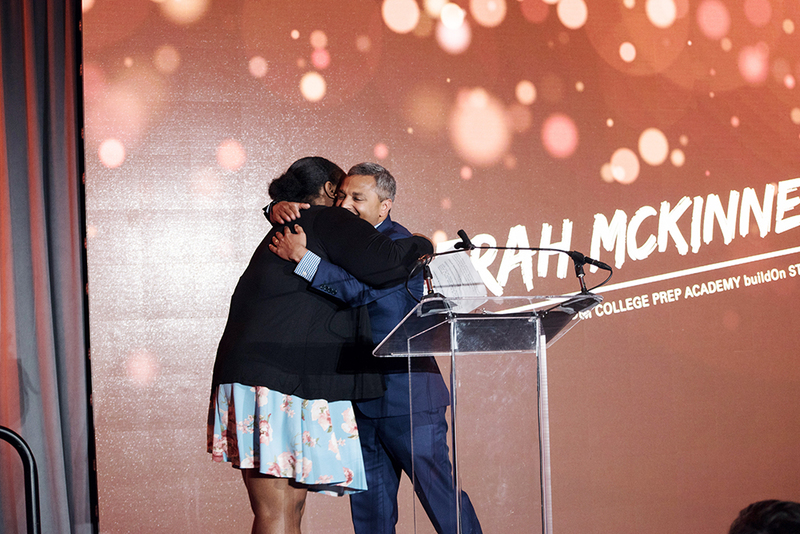 Above: Anand and his buildOn student partner, Taheerah McKinney, reunite with a hug at the Bay Area Dinner. Following Taheerah’s speech, buildOn students Arnetta Olden and Samuel Singleton took the stage to bring the evening to an end with their spoken word poetry, and afterwards, all of the buildOn students in attendance and buildOn’s Founder Jim Ziolkowski joined Arnetta and Samuel on stage to cap off the celebration with a “WE ARE BUILDON” cheer. 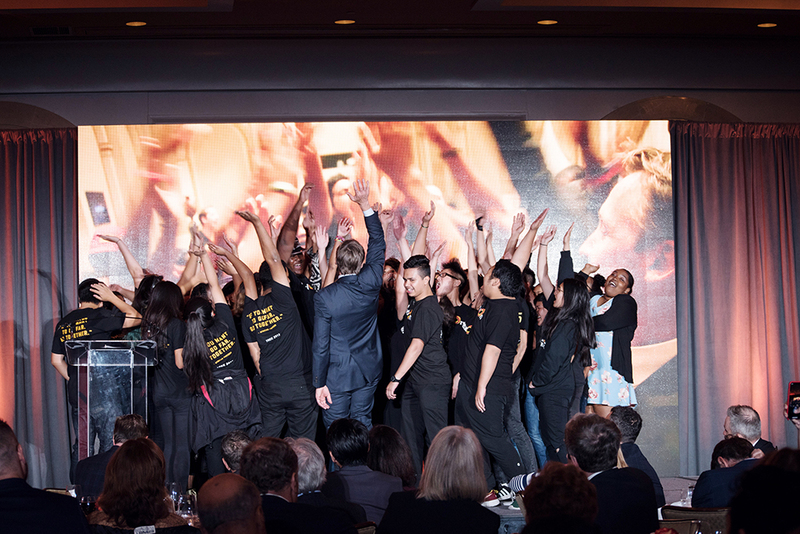 Above: buildOn students and buildOn’s Founder Jim Ziolkowski bring the 2018 Bay Area Dinner to an end with a cheer. Thank you to the Bay Area Board and our corporate sponsors—GE Digital, Jones Day, McKinsey & Co., PwC, Rodan + Fields, Salesforce, Sidley Austin LLP, and US Bank—who made the celebration such a success.